Turning Vision Into Action: In Search of the Elusive "AND"
In Search of the Elusive "AND"
Have you heard about the documentary film, Race to Nowhere? The film's website encourages viewers to engage in discussions about the pressures of school - especially high school. The film has been circulating since last fall and has drawn the attention of CBS's Katie Couric, CNN, the New York Times, and the like. And, it is engaging local school boards, parents, faculty and administration in deep discussions about the pursuit of excellence balanced against the stress of achieving that excellence. On April 7th, the documentary film will be screened at Stevenson High School (my alma mater) with a follow up discussion titled: "Stress and Achievement: How much is enough?" And the answer to that question is, it depends. One potential danger is to assume the starting point of the documentary movie applies to all schools: The expectations and demands placed on students for achievement by the school, the community, and society are too high. In fact, my personal experience in many high schools is that the expectations for students are too low - especially for students from underrepresented groups. In many cases high schools across the nation are being criticized for lacking academic and curricular rigor. Equity and Access to high expectations for curriculum and assessment is denied. High school administrators, counselors and other school officials are disparaged for discouraging students from pursuing challenging goals that will prepare them for college, especially if the students are from poor or diverse backgrounds. Thus, it should be the pursuit of your local high school to place support behind the idea of giving more students access to a rigorous curriculum, rather than reserving it for the so-called best and brightest select few. School communities should respond to community concerns that students are not being challenged, and are not provided the opportunity and access appropriate to their abilities. Can 97% of each graduating class attend college? Can your high school become a college preparatory school? Can students successfully participate in rigorous academic experiences, co-curricular activities, learn to drive, have a social life, commit to time with the family and get the requisite sleep required without undue stress? Must the solution to the dilemma presented by the movie be an Either/Or proposition? More students enrolling in college preparatory courses with “college-level” work can present a paradox. As your high school develops into an academically rigorous school, community concern will focus on stress and pressure. Is there too much of it here? Is stress created by taking too many honors classes? Is there pressure from peers, parents, teachers and counselors to engage in multiple levels of AP classes before graduation? As the school creates greater Equity and Access to a college preparatory learning experience, how will the school address the increased levels of stress? What does it mean to be a normal student in the context of an academically rigorous high school? If students experience a college-level course before graduating from high school, would it raise their stress level? If your high school became less rigorous, would it diminish the level of stress and anxiety for students? Is the only answer to "too much stress" - diminish access and opportunities for students? Patterson refers to this as the elusive AND. Is it possible to achieve Academic rigor AND be mindful of appropriate levels of stress? This question should be at the heart of any community dialogue in followup to the Race to Nowhere movie. All educational stakeholders must address how the issues of the movie can be placed into an AND proposition context. One must not be the evil of the other. Can you find the elusive AND for your child and your high school? Based on my experience as Superintendent and the hard work of the Stevenson Community, the answer appears to be “yes”. To achieve this equilibrium, parents must work in partnership with their son or daughter and the school; specifically their counselor. Parents are the experts when it comes to knowing their own child. Parents have a sense of how much work their student can handle before they feel too much stress, and they are in the best position to monitor their childʼs well being. Thus, the high school, should maintain its position to invite but not coerce students to pursue a more rigorous curriculum and should work persistently and passionately to advise parents as to the best choices. For students, the solution appears to be understanding how to provide balance in their lives and in their school schedule and how to make the best choices. The school must be aware of how to help each child pursue rigor and maintain a healthy lens on life. This advice serves you as well today as it did in 2000. It is my hope that all stakeholders will use the film to partner with the school community in search for this elusive AND. The equilibrium desired in the pursuit of a curriculum that is rigorous and challenging, and includes numerous opportunities for college-level experiences appropriate for each individual student, lies in creating stronger working partnerships between the parents, the students and the school community. Your search for the future, should be to answer the "It depends" balancing level of response for your child or student. The pursuit of that internal balance is for another blog entry on another day. Great post. As a graduate of a Chicago area public high school, I can say that I recieved minimal guidance from my high school counselor and was never asked the question, "Adam, what are you passionate about?". I followed the standard curriculum path, was unaware of engineering prep courses at my school, and found myslef unchallenged and unstimulated (this seems to be the goal of most high school students because we have not yet developed a long term vision for our lives). Upon arriving at college at CU Boulder, the majority of my friends were coming in with 9-12 college credits from their AP high school course work and I only had 3 credits. I was also not prepared mentally for the grueling engineering workload. You mean I have to study EVERY day?! My one regret about high school is not taking advantage of AP coursework and engineering prep programs, but how was I to know it would affect my academic career down the road? I needed my high school leadership to help me develop my vision - then maybe I would have been inspired to take on the challenging AP workload. Success for all learners is more than a vision, it should be the moral obligation that compels all schools to design a program that meets the needs of all learners. A college level experience just doesn't mean an AP course nor does it mean carrying a load of 6 AP courses. During my first few years as an AP teacher, I found a renewed commitment to my subject area as I realized that just as the course demands a lot from the students, it also has high expectations for the teachers. It was at this time that I became a true believer of the benefits of an AP curriculum - not so much for the college credit or even the honor badge but because of the exciting opportunities for learning. This is not to suggest that an AP course is the only type of program that can provide high quality curriculum but it also doesn't mean that AP is only for the "college-bound" student. Balance is key and this is easier said than done and it must be a message that is consistently sent and modeled for the students with whom we work and whenever possible, to demonstrate the true fruits of learning beyond high marks and straight As. I first learned of the "elusive and" when I read Built to Last by Jim Collins who coined the phrases "The Tyranny of OR" and "The Genius of AND." So often we think in "either/or" terms, and we limit our possibilities and end up missing out on important opportunities. The "Genius of And" helps us pan out and realize the bigger picture. There are creative options out there! If we expand our thinking and shoot for the grand "and," our lives will be richer and more gratifying. It takes planning and thought, but in the end, it's well worth the effort. -You can experience a rigorous school experience AND enjoy your high school life IF you take deliberate steps to plan and balance your load! -You can do your homework AND ride your bike after school IF you wake up 20 minutes earlier and dedicate a bit of time to your studies in the morning. The elusive "and" broadens our possibilities furthers our progress. In addition, the conjunction "and" engenders a "joining" and "combination" of two. By design or default one's experience is inherently broadened. I am going to reply to this post as a parent, not as an educator. Why? Because my wife and I are living the dilemma of the "elusive AND" with our 8th grade daughter who is very quickly approaching her freshman year of high school. She is a fine student, but she has inherited the "curse of anxiety" from her father! This is a child who worries and stresses about everything. Most of it is self-imposed, yet it is just as real for her as it would be if we were putting massive pressure on her to succeed (which we are not doing). We currently are embroiled in a battle with the high school regarding her math placement for next year. Although she scored very high on the 8th grade math placement test, we do not want to push her into the classes that have been recommended for her. This is a child who is not interested in math, nor does she enjoy math. Instead, she is a terrific reader and writer, so we are placing her in higher level classes in these areas. There has to be a balance. If she enters into the "regular" math track in order to keep her math anxiety down, that that is what is right for her. However, the high school math chair is adamant that we place her in the higher math class. He has made it very clear that we are wrong and he is right. Really? So, the follow-up discussion at Stevenson HS after watching Race to Nowhere is appropriate in our case: "Stress and Achievement: How much is enough?" Enrolling our daughter in upper level English and history classes is enough. Why are we being pushed so hard in other directions? Maybe the math chair at our high school needs to view this movie ASAP. One of my favorite authors is Jim Collins. I like him because I believe that he takes what often seems contrived and artificial about our profession and links it to what is often referred to as the "real world." That being said, it wasn't too long ago that he introduced me to the notion of the "and/or" concept. I believe strongly that we are plagued by the "or." On a somewhat scary level, I think the profession of education thrives on its usage. A leader who takes the bull by the horns and tries to reverse this mindset and begins a push for the concept of "and" rather than "or" is one who is truly battling against an engrained practice. I think this is the case because "and" somehow denotes compromise and too many educators need to be right. Compromise is seen as giving in and as a profession we can't possibly give in (note heavy use of sarcasm). The reality is that the use of "and" is rewarding and supportive. It can give us what we want while at the same time honoring what we need. Jim Collins took one of the most heavily used English language words and turned it into a paradigm shift in thought. To search for the elusive “And” causes educators, parents and students alike to shift their thinking from the notion of one right way to do something to a broader view, where a variety of options are considered and accepted. It is shameful to think that the undue stress some students are feeling as they enter high school could lead communities to seek less rigor in their schools or classrooms. Having taught in five very different school districts across three states I am alarmed that there could be a public outcry for less rigor based on one movie which depicts a narrow view of education. I agree that many students are faced with the dilemma of selecting advanced classes as part of their college preparation without the appropriate supports from their schools and parents. Too often pressure is placed on students to exceed at all costs. To better prepare students we must equip them with solid decision making skills and an improved sense of self, which will enable them to make decisions regarding their education as they seek a balance between academics, family and social opportunities. Having worked in several low performing school districts I hope that movies such as the one described in this blog, do not lead this nation to creating less opportunities for students to excel in rigorous classrooms. We must all seek the elusive “And” to balance our lives and to assit our students in doing the same. This is not an easy task to accomplish, but it must become a priority for each of us. What jumped out most to me from this post was the statement to, "invite but not coerce students to pursue a more rigorous curriculum and should work persistently and passionately to advise parents as to the best choices." As much as I was enthralled with the effectiveness of Race to Nowhere to stimulate dialogue around the demands of education and was repeatedly frustrated with the criticisms it placed on schools for providing opportunities for students. The elusive AND provides clarity to this frustration. It is OK for schools to provide a wide array of opportunities that meet the needs of their learners and provide them the opportunities to be successful once they move on from the walls of our school. The students and parents must exercise discretion when choosing which of these opportunities to take advantage of from these options. Do not blame the schools, or the college admissions requirements, or the social pressures around them on the overloads that are created. Instead look internally at what is best for each individual student and use the resources at your disposal, such as guidance counselors, to help make those decisions. By discovering what the AND is for each child will help each student and the education system as a whole be successful. As an educator and as a parent I see the root of the AND/OR problem as societal. Our culture teaches us that we're supposed to be able to have everything we want, omitting the coda to the message, which is, "...at a cost." By cost I don't necessarily mean something so onerous and prohibitive that wanting more from life is a fool's bargain, but everything has a price. Sometimes the prices of rigor and challenge are time and energy, with an unfortunate bi-product being stress. Our job as the adults in the equation is to make certain that the rigorous work is meaningful, understandable, and doable. We need to engage in a give and take with students. Our 7th grade team has been accused of piling on homework past the capacity of a 12 or 13 year old. We sometimes hear that students are spending upwards of 2 or 3 hours a night on homework. AND, we're talking out of both sides of our mouth when we say that school should be the priority. We ask them to participate on our sports teams and in our bands and on our stage, yet we sometimes dictate a schedule that demands ten to twelve of their waking hours between school, activities, and homework. We have a responsibility to safeguard the well-being of our students. It is a team effort between educators, parents, and the students themselves. As I said earlier, however, we're the adults in the equation and it is ultimately our responsibility to create a balanced environment for them. The exclusive AND is the million dollar formula that all educators and parents seek to for their children. I have not seen the movie yet but have heard mixed opinions on the ideas represented. Working in various areas of the Chicagoland area I have experienced the large range of equity and access to rigorous curriculum. In my current position on the North Shore I have also seen students pushed in rigorous curriculum tracks and other students that are not pushed in the same direction. I agree it is important that educators and leaders ensure that all students can access that rigor and should not be only reserved for the "bright" students. I do believe it is possible to achieve the equilibrium that is desired but think that it will take a collaborative effort. Although I have not seen the movie "Race to Nowhere" it certainly made an splash in the district I work in. We had parents coming to the school board meetings insisting that we made the show mandatory for all teachers to see. The parents of our school's community feel the pressure of making sure their child is getting the best of everything; education, lessons, tutoring, etc. As the person in charge of special ed. in our school, I can honestly report that we have a tremendous amount of middle school students with anxiety related issues. However, my experiences as an educator did not start in the community I currently serve. I began my career in suburbs that served a low income population, and their stress was not the same. Of course the kids were anxious, but it was because they didn't know if they would eat that night or if their parents would come home that evening. The kids in those schools probably had anxiety issues out of the roof, but since they didn't have private providers they were not diagnosed. I couldn't agree more that a parent needs to determine with their child what is enough and what is too much. As a parent, I know when we have added so much to our schedule that our family time takes a hit. We reflect and step back and make adjustments, as needed. We need to teach our kids how to find the balance that ensures a complete lifestyle, and we need to work with our teachers to honor that lifestyle. I think the commitment to the whole child will eventually prove to be one of the most significant additions to the education of our children. If districts would have said, "Well, we can focus on reading, writing, and mathematics (and all academic subjects) OR the social emotional well being," we would be missing a very important part of our job. Districts did not say that (or rather, the State legislators who required SEL, did not say that). They said we must focus on the academic AND the social emotional well being. Likewise, we team children in the core academic subjects AND the related arts (music, art, PE, band, etc). We don't teach one OR the other. With that, we must work to increase the amount of rigor, academic achievement, AND concern ourselves with stress levels. I firmly believe that if elementary schools can develop the time management, study strategies, and self directed skills in their students, they will be better able to handle the stresses of AP classes in high school. This perspective on the movie and the paradox that exists in education today is spot on. The issue is the fact that this perspective is in the minority in terms of what people's reactions around me have been to the movie. It seems to me that the default response to the film is that homework is bad for our students. There have been a significant number of educators I have come into contact with that refer to the documentary as the "homework movie." What we as leaders need to do is evaluate the purpose and the use of the homework, not whether it should exist or not. I think the movie's intention was to shine a light on a larger aspect of education than strictly homework. Yes, there is a lot of stress on a large number of our kids, however, you are right in naming the fact that there are many who experience such low expectations, stress is not an issue at all. The work is in providing the equal access to a rigorous education and working with students, families, and counselors to make informed decisions about the pathways they opt to navigate. The navigation of the 'AND' is something we need to create partnerships to do. Before the journey can begin however, systemic barriers that deny access need to be identified and deconstructed. This controversial film captured the attention of parents everywhere this year. I completely agree with your statements and those of Dr. DuFour that a balance is the key to success even in the highest achieving school districts. It is the role of teachers, administrators and parents to encourage students to maintain this balance in their lives. What they put into practice in high school will serve them well as they move on to adulthood and need to preserve a similar work-life balance between their careers and their families. Reading Dr. Kanold's blog post and seeing the words of Dr. Dufour sent me back to my high school days at Stevenson. The line in his speech to the incoming freshmen class that reads "Stevenson offers unlimited opportunities and very few restrictions for pursuing them. 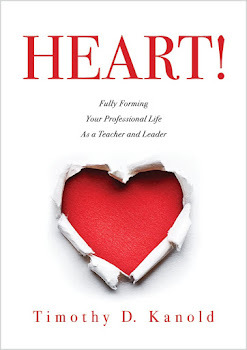 Challenge yourself but donʼt take on so much that you become overwhelmed" has continued in my daily experiences as an administrator and leader of our school community. Think about this for just a second: each school day offers unlimited opportunities for improving student learning with very few restrictions on pursuing them. 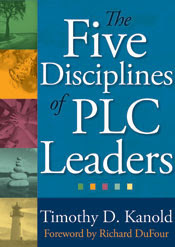 Each teacher and adult who works with students has an unlimited number of opportunities to improve student learning each day: working with a team of colleagues to begin developing common formative assessments, utilizing some of the principles for classroom engagement that Dr. Marzano writes about, spend your planning period observing a colleague in an effort to improve your own professional practice... the list could go on. I've seen Race To Nowhere twice and can identify some of the experiences of the students an families in that documentary. At the same time, I know that I attended Stevenson (a high school that even then had high expectations for student achievement) and came home every day to a family that required me to finish my homework at the dinner table before I did anything else. Was I stressed to the hilt at times? You bet. Was that stress the impetus for me to "press on" and move forward? You bet. A certain level of anxiety, pressure, and focus is good for humans and for our students. It teaches them to be resilient and to power on because life is not about cruising through without stress. It is about accepting the challenges that life (and schools) give us and using every single challenge as a method of self-improvement. Schools can AND should be rigorous. Students should experience anxiety at times AND learn how to use that pressure to move themselves forward. It can't be that students should experience anxiety OR they move forward... that's just not how it works.